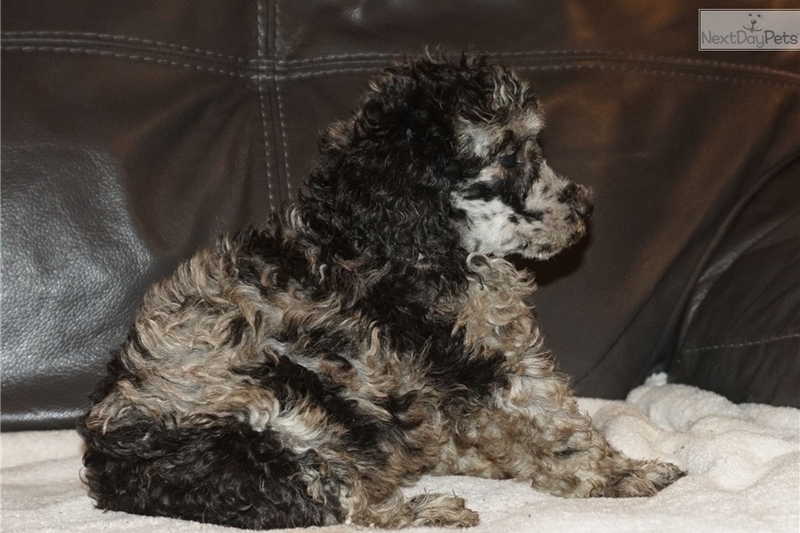 Cher - Flashy Blue Merle Moyen Poodle Girl! 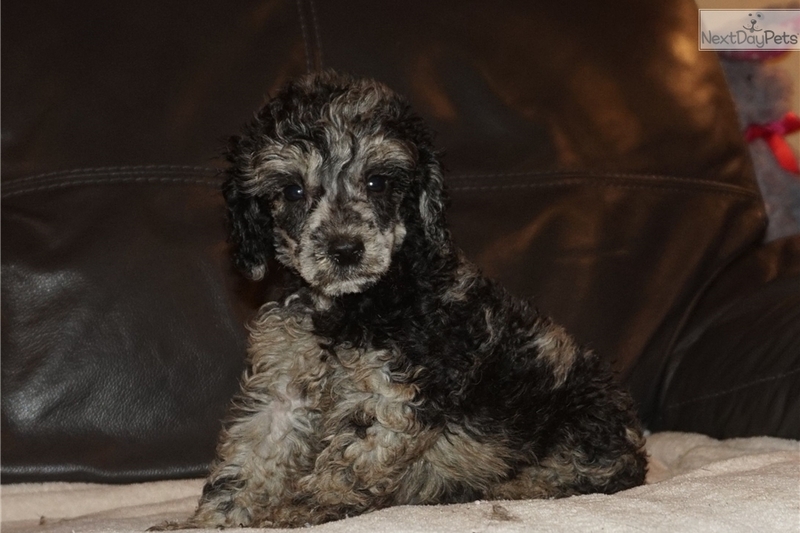 This Poodle, Standard sold and went to a new family. 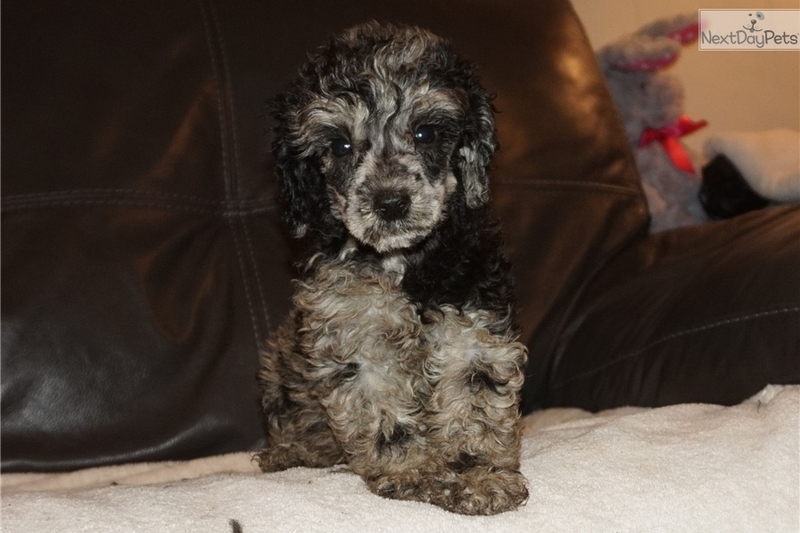 This little cutie is a flashy blue merle purebred moyen poodle. Moyen poodles are between mini and standard in size (20-40 lbs grown). Our babies are raised in our home with lots of attention and early socialization. We also start on house training before they go home too! We are taking deposits now to reserve the puppy of your choice. Pet homes only, great breed choice for therapy/service homes too. Our babies come with current shots, a written health guarantee, vet check and health certificate done right before going home. And of course, lifelong breeder support! Located near Tampa FL, delivery halfway within the state is included. Safe fast shipping is available to most major US airports. We can deliver in person to almost anywhere in the south too, email with your location for cost of delivery!